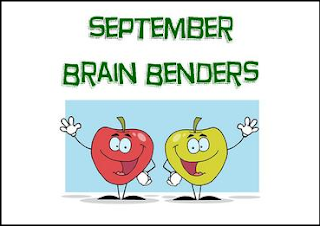 Brain Benders are critical thinking activities designed for each month. Use them as enrichment activities, journal prompts, learning center activities, or however you choose! Each monthly Brain Bender comes with 20 activities organized in a 5x4 grid to resemble a calendar. You can choose to print the calendar with its corresponding multiple intelligence label for each activity or print it without. This is a great way to challenge your students! Back to School: All About Me Made Fun! Math Review Can Be Fun!